What is my happy new discovery? I know, kind of a let down, not what you might have been expecting. But in this house, and my kitchen, this is a long sought after product. No, not the kind you buy at a store…we’ve spent a small fortune on those little cute cups O yummy expensive goodness. I’m talking about the extra delish extra healthy homemade kind of yogurt, but flavored. I’ve been making yogurt for a few years now. 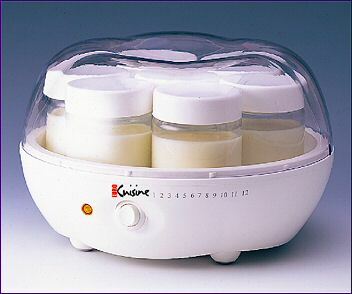 I’ve used the yogurt machines, starting with the simple ones that came with the oh so fetching individual glass jars. It worked great. But we zipped through a batch of those in no time. We could spoon those jars clean in one breakfast. So, I graduated to the yogurt maker that made a quart or some big amount at a time. But it was unsatisfactory, I didn’t like the kind of awkward design of the appliance and the container. So I didn’t really use it enough. I gave it to my sister in law. Yes, I am picky that way. I can’t help it. Don’t judge me. Finally I read a way, online, to make it in a slow cooker. Hmmm. Really? A slow cooker? I thought it would be yet another complicated science experiment sort of deal where my kitchen became a grade school science lab. But no…in multiple forums on the net, I read of this. Why hadn’t I seen this before? Is this a new fad? A foodie wave of trendoid frenzy? Well, if so, count me in! I wanna try! Now, the whole deal was kind of intriguing and yet a little nerve wracking to boot (I have a very active imagination and have had too many go rounds with food poisoning…so I’m a tad paranoid). But I figured all that probiotic bacteria is supposed to be good for you and that the whole point of yogurt is to get the good stuff, the natural way, and that yogurt has been made in yurts for centuries with no ill effect. My first mini-eureka! It worked. It was as good or better than my machine yogurt, and as easy or more so to boot. I was sold; and I already had the slow cooker. Perfect! So I made batch after batch of my standard vanilla or plain yogurt. The family did the usual stir-ins of jam if they wanted some jazzy flavor. 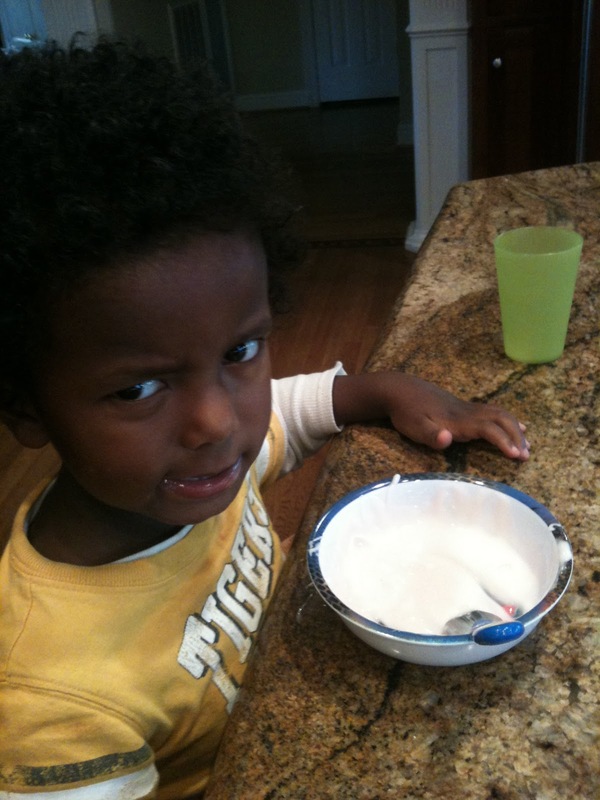 But ya know….it just bugs me that I never could make the flavored yogurt without it curdling or not setting up. In the back of my mind, I keep thinking about it, every time I make a batch. So, I decided to give it yet another try, but with the slow cooker. I thought about how to get the flavor in there before it was made, a new mode. And…it worked! And, if I do say so myself, it’s really good! Now turn to low for 2.5 hrs. Then turn off for about 3 hrs, until temp (instant thermometer) is between 110-120 degrees. Once temp is in range, take about 3/4 c of milk/yogurt from cooker in large measuring cup. 1/2 cup plain yogurt (homemade or purchased). This is your “starter” and gets the yogurt to become all it’s yogurty goodness. Then whisk it like mad so it’s smooth, and pour this mixture back into the cooker. Cover and wrap the whole slow cooker in a bath towel for at least 8 hours, though I’ve left it overnight (don’t freak out, it’s ok). Then after that, put ceramic container from cooker into fridge to chill. After it’s chilled, eat and marvel at how good yogurt can be. And how cheap. No scalding milk and pouring from container to container, splashing your golden yogurt to be on the appliances and countertop and eliciting cussing. No extra pots to wash out the scummy scalded milk. No cute but slippery glass jars to wash out, rotating endlessly and counting if enough have been eaten to make another batch, or biting your tongue to keep from cussing when you can’t find their lids. Now this is not only yummy, it’s “green.” In fact, it’s about as green and crunchy as I probably get…so, I’m putting it out there as evidence that I’m not totally soulless. But more, I’m putting it out there because it’s easy, cheap and, most importantly, good. Simple. Easy. Low tech. Yummy. This entry was posted in cooking, food by coffeemom. Bookmark the permalink. >That sounds easy enough!! 🙂 Maybe even something I can do! My family loves yogurt!